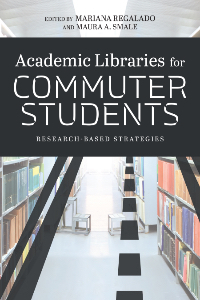 Our edited volume Academic Libraries for Commuter Students: Research-Based Strategies was published by the American Library Association in May 2018. The predominant narrative of U.S. undergraduates foregrounds residential living, however, the majority of college and university students commute to their campuses. Despite their large numbers — estimated at 85% of American college students — commuter students have often been ignored in the library literature. This book brings together research by librarians and academics at community and baccalaureate colleges and universities from locations across the U.S., commuter institutions and those with both commuter and residential populations. Order directly from the publisher ALA Editions (among other vendors), and take a look at the book’s Chapter 1 and Index. 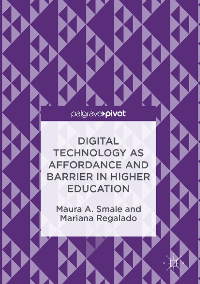 Our book Digital Technology as Affordance and Barrier in Higher Education was published by Palgrave Macmillan in January 2017. Order directly from the publisher Palgrave Macmillan (among other vendors), or take a look at a preview in Google Books.